Alexander, Denis - creation or evolution: do we have to choose? Lennox, John - God's Undertaker: Has Science Buried God? Lennox, John - Seven Days that Divide the World. This is a wonderful little book that I've been dipping in and out of for the past year or so. 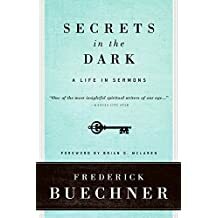 It's a book of sermons, which sounds tedious, but these are quite wonderful, beautifully written, warm, gentle, inclusive and non-preachy little gems of spiritual hope and light. I've loved dippng into this book by this Pulitzer prize nominated author whose writing in this book is an absolute delight. When preparations for a new summer house in the Martello family's estate unearth the skeletal remains of the family's youngest daughter who disappeared twenty-five years ago, her childhood best friend, recently divorced from the deceased's brother, becomes obsessed with digging up the past and trying to solve the mystery of who killed her. I enjoyed this. It had a slowish pace and certainly wasn't a page-turning thriller but I quite liked that about it. I enjoyed getting to know the characters as the story unfolded. There was a lot of psychology in the book as the main character goes through therapy to get over her divorce and talk about the discovery of her childhood friend's body and I enjoyed that aspect of it. 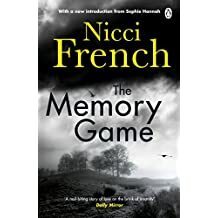 I have read and enjoyed most of the books by Nicci French, but am yet to read this one. They write some good slow burners. 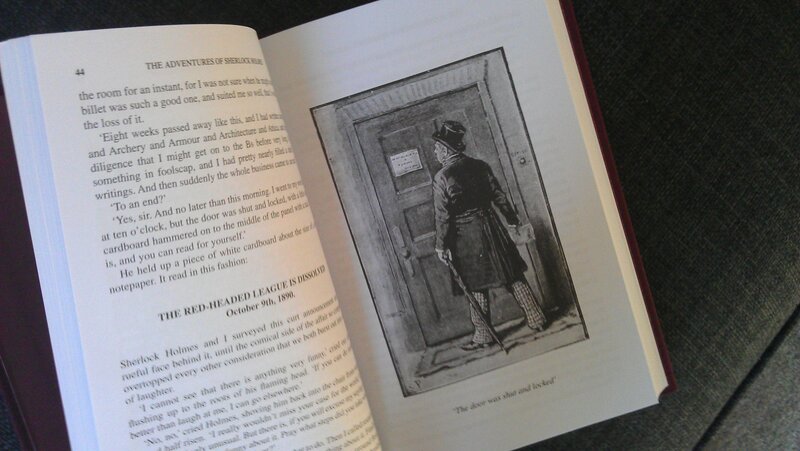 I have the book (with real pages - not a kindle version!) on my shelf. Based on your review it looks like I am going to have to nudge it up the reading list. Thanks Chrissy. I've never read any by them before so had nothing to compare it to. I thought the writing was great in it though, and I believe it was their first novel. I hope you enjoy it when you get to it! 'The Memory Game' sounds really interesting, I like the idea of it being more psychological than the usual thriller. I've never heard of Nicci French before so I'll have to look at what other books they have too! I picked up a couple of second hand Marian Keyes' books last year. I'd never read anything by her before and always assumed it would be a bit light and fluffy, romantic and possibly twee which is not my cuppa so never bothered with her. However I heard her on radio 4 and she said her book covers annoy her because they give exactly the impression I described above, and that's not what she writes at all. That's why I picked up a couple of her books. I started one (Rachel's Holiday) a couple of days ago and it's great! Full of cheeky humour and not twee at all. I'm not far in yet but I'm really enjoying it. It's been a while since I read anything funny and I this has really grabbed my attention. I'm looking forward to going to my reading time in a way I haven't done for ages. And hopefully I've discovered a new author to enjoy!! Yay! Wow, how nice to hear she doesn't like her own book covers! I too think some of those book covers give off that fluffy feeling (some of the newer covers are nicer in my opinion). I've only read one book by her so far, This Charming Man, and I loved it. But it's definitely not light and fluffy. I hope you like Rachel's Holiday . I have more books by her on my shelf so I look forward to read more of her work, hopefully later this year. Oh that's good to know. This Charming Man is the other book I have on my shelf! Thanks Gaia. 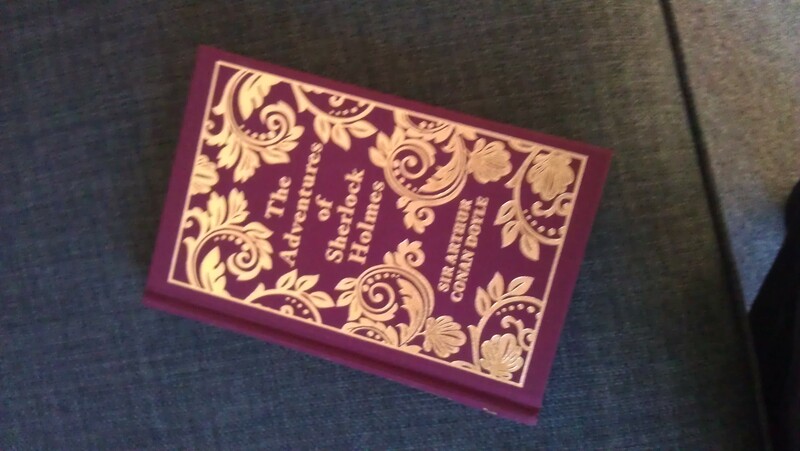 My lovely Sherlock Holmes book arrived last week that I won in the monthly prize draw (thanks again @Hayley ). I meant to post pics sooner but I've been ill all week. Anyway - it really is a beautiful book, a real treat considering my usual books are beaten up old paperbacks from charity shops! Excuse my blurry camera work for the shot of the cover!! Rachel Walsh is a girl about town living it up in New York City, and she sure likes to party, so much so that after a mishap on a night out (all a terrible misunderstanding) she ends up in rehab. She only agrees to go for the saunas and health spas (which is surely what rehab is all about) and to get her family off her back. Her little holiday however turns out to be somewhat different to what she was expecting. This is the first Marian Keyes novel I've read and I absolutely loved it! We follow Rachel's time at rehab, and also (through recollection) along the path that got her there. It's funny, warm, insightful, a bit naughty and very easy to read. It's not fluffy chick-lit by any stretch. Even though it's written with a good deal of humour it covers serious topics in a sensitive yet entertaining way. The main character Rachel, even though deeply flawed, still manages to be likeable and I enjoyed spending time with her and following her on her journey of self-discovery. This book made me laugh out loud on many occasion, and it made me cry too. Fabulous stuff. ooh! What a lovely book! Congratulations. Congratulations on winning the book, Andrea ! I'm glad you enjoyed Rachel's Holiday. I've read one Marian Keyes book, called This Charming Man, and I really liked it. I have Rachel's Holiday on my TBR, so I'm glad to hear you liked it . Great review! Great review of Rachel's Holiday. 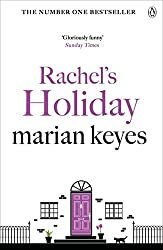 I've always avoided Marian Keyes for the same reason as you, I assumed they were going to be twee romance novels, mainly based on the covers. It's a shame, really, that she doesn't have more say in the cover designs, because they obviously are putting off potential readers. A friend of mine told me that she heard Marian Keyes on the radio, and in an interview she [Marian Keyes] said that she really didn't like her own book covers. I would defiitely recommend this book Hayley. I was very pleasantly surprised. This is proper grown up comic fiction - not twee at all. It really is a shame about the covers. 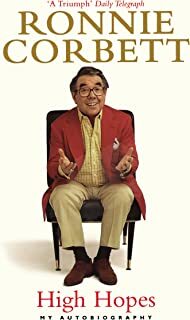 I've always been a big fan of Ronnie Corbett. I loved him in the Two Ronnies (especially the chair monologues) and in Sorry! He's always made me laugh and struck me as a nice chap so I was looking forward to reading this. The reviews on Amazon were a bit mixed though so I wasn't sure what to expect. Having read it I can understand some of the criticism. There are a LOT of anecdotes and name-dropping and I sometimes felt that he was talking more about other people than he was himself. The first half of the book focuses a lot on his early career in cabaret and vaudeville and there were so many people and anecdotes and incidents that I found my head spinning a bit. I think I'd have preferred a gentler, more flowing and personal narrative with some self-refection. I mean there is some of that but not as much as I would expect in an autobiography. Perhaps he is just not a particularly open person and prefers not to wear his heart on his sleeve. I enjoyed it more as it went on however and found the second half where he talks about The Two Ronnies and Sorry better somehow (whether it was that I'd settled into the book's style by then, or that he'd found his flow as an author, I can't say). He has a quite incredible memory for detail though and has led an interesting life in the theatre and he seemed very much to fit in with that show-business lifestyle. I enjoyed it overall, it made me chuckle in places and I found it a pleasant read.